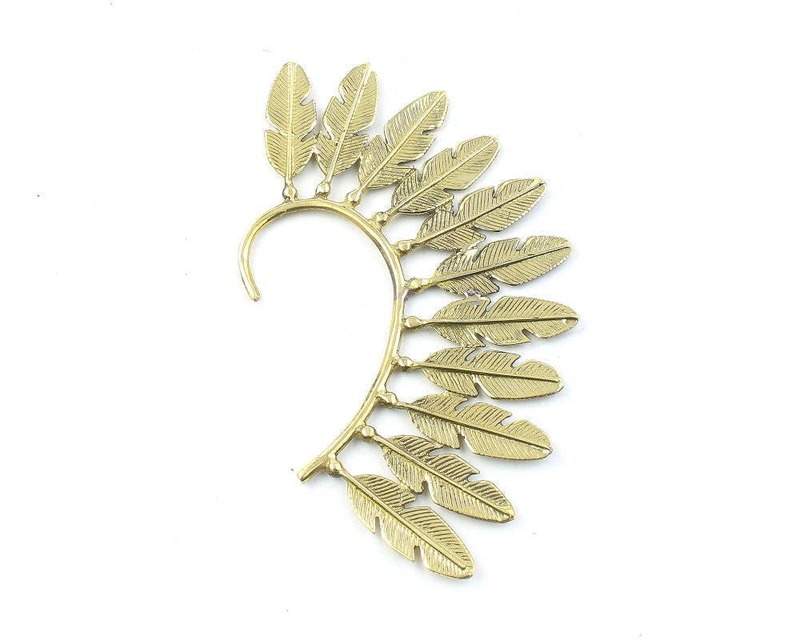 A series of feathers make up this ear wrap. This piece wraps around the ear for a unique, fun, festival look. Can be worn on either left or right ear. Easy to wear, just slide behind ear.